de Blois, François. 2018. Aristotle and Avicenna on the habitability of the Southern Hemisphere. In Sabine Schmidtke (ed. ), Near and Middle Eastern Studies at the Institute for Advanced Study, Princeton, 1935-2018, 188-193. Piscataway: Gorgias Press. Rezania, Kianoosh. 2017. The Dēnkard Against its Islamic Discourse. Der Islam 94(2). The Dēnkard is the most exhaustive Pahlavi work ever produced in Zoroastrianism. Due to the large amount of information included in it, this body of work has often been referred to within the field of Iranian Studies as a ‘Zoroastrian Encyclopedia’. This article discusses two main points. First, it holds that it was not the intention of the Dēnkard’s authors and editors to compose a Zoroastrian encyclopedia in the 9th and 10th centuries. By contrast, the independent texts which serve as the basis of this compilation deal with other religions or present a Zoroastrian apologetic. It also claims that the Dēnkard has not been perceived as an encyclopedia in later Zoroastrianism. Second, the article scrutinizes the editorial process that led to this book. It furthermore argues that the Dēnkard, in its current form, has been structured to resemble the Zoroastrian world history comprising nine millennia. This article aims, moreover, to show that the last three books of the Dēnkard aim to depict Zoroastrians as belonging to the People of the Book. The article finally argues that the Dēnkard should be considered entirely a theological apologetic within an inter-religious context, which was mainly carried by Muslim theologians. Halft, Dennis. 2017. Ismāʿīl Qazvīnī: A twelfth/eighteenth-century Jewish convert to Imāmī Šīʿism and his critique of Ibn Ezra’s commentary on the four kingdoms (Daniel 2:31-45). In Miriam Lindgren Hjälm (ed. ), Senses of scripture, treasures of tradition: The Bible in Arabic among Jews, Christians and Muslims (Biblia Arabica 5), 280–304. Leiden: Brill. This study explores the previously unstudied anti-Jewish Persian polemic Anbāʾ al-anbiyāʾ by the Jewish convert to Twelver Šīʿī Islam, Ismāʿīl Qazvīnī, the father of Ḥāǧǧī Bābā Qazvīnī Yazdī. It examines Ismāʿīl Qazvīnī’s discussion of a medieval Jewish controversy concerning the four-kingdom schema in the book of Daniel and Ibn Ezra’s interpretation of the dream-vision in favor of Islam as the fourth kingdom. The study shows that Ismāʿīl Qazvīnī, besides his reference to Muslim works in Persian, relied on different (partly printed) Jewish textual sources in the original Hebrew and Aramaic (Miqraʾot Gedolot, Neḇuʾat ha-yeled, Sefer haš-šorašim, Sefer Josippon), from which he quoted in his own Persian translation/adaptation. He thus made internal Jewish debates accessible to native Muslim scholars, such as Mullā ʿAlī Nūrī, who borrowed from Anbāʾ al-anbiyāʾ. 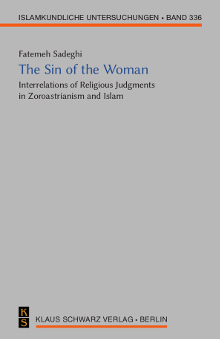 Ismāʿīl Qazvīnī was a cross-cultural intermediary and go-between who expanded the traditional range of Šīʿī polemical arguments against Judaism in pre-modern Iran. Macuch, Maria. 2017. Descent and inheritance in Zoroastrian and Shiʿite law: A preliminary study. Der Islam 94(2). 322–335. The Twelver Shiʿite law of inheritance constitutes one of the most distinctive features of the legal system in comparison with Sunni law. Although there are major and even irreconcilable divergences between the Sunnite law of succession according to all four legal schools on the one hand and Twelver Shiʿite law on the other, no convincing explanations for this striking development within Islamic law itself, leading to two fundamentally distinct systems, have hitherto been put forward. The aim of this preliminary study is to call attention to several remarkable correspondences between the complex Iranian (Zoroastrian) law of succession, conceived to support the specific needs of aristocratic descent groups in the Sasanian period, and Twelver Shiʿite regulations, reflecting a very similar underlying concept of family ties and descent groups as a whole. The question is, whether these congruencies are purely coincidental or based on age-old social and traditional norms, which continued to be practised in the regions of the former Sasanian empire after the Islamic conquest. As Sasanian norms remained operative in customary law (now documented by Pahlavi legal documents from 8th century Tabarestān) during the formative period of Islamic law and the Sunnite regulations, being based to a large extent on pre-Islamic tribal law in Arabia, contrast sharply with the Shiʿite concept, it would be consistent to assume that certain precepts in the pre-Islamic Iranian system had an important impact on the development of the Twelver Shiʿite law of inheritance. Raei, Shahrokh (ed.). 2017. 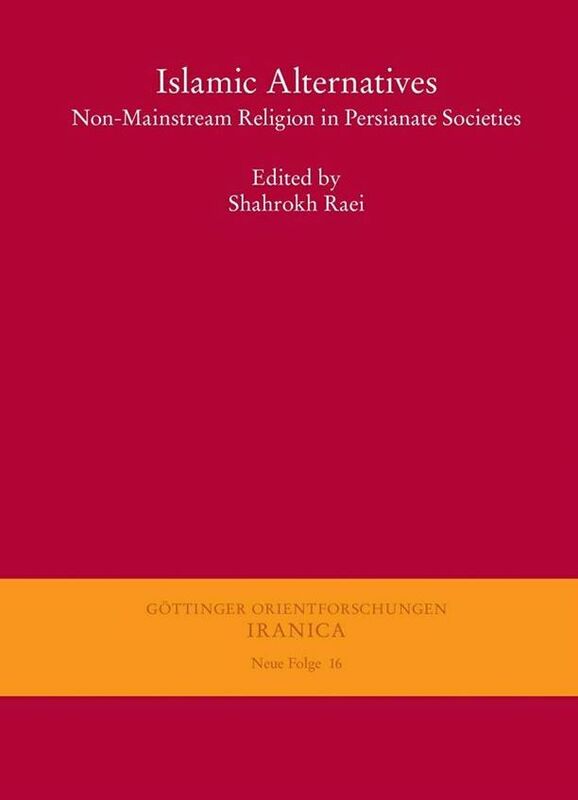 Islamic Alternatives; Non-Mainstream Religion in Persianate Societies. (Iranica, GOF III/NF 16). Göttingen: Harrassowitz Verlag. Islamic Alternatives are the proceedings of a symposium which was held in April 2014 within the framework of a research project entitled The Khāksār Order between Ahl-e Ḥaqq and Shiite Sufi Order, funded by the German Research Foundation. The tradition and belief system of the Khāksār is closely connected to several cultural and religious traditions across a vast geographical area in the Orient: the territory of Persianate societies, which might also be called ‘the territory of wandering dervishes’. The extensive historical and cultural relations and associations, the similarities between the Khāksār Order and the Futuwwa tradition or religious communities (such as the Ahl-e Ḥaqq (Yārsān) and Bektashi order in different geographical territories), the relationship between this order and Dervish groups in Pakistan and Central Asia on the one hand and its connection with the official orthodox Shia on the other hand are the main topics dealt with in the present book. The commonalities and cultural relations of these numerous and diverse cultural traditions as well as the heterodox movements in this region are so substantial that understanding the related aspects of each helps us gain a deeper knowledge of the whole subject matter. This symposium and the present proceedings attempt to gather as many specialists of these diverse but associated themes as possible in order to achieve a better understanding of these concepts. Shahrokh Raei is an scholar of Sufī and Khāksār Order and lecturer at the Institute of Oriental Studies, University of Freiburg. Adamson, Peter. 2016. Philosophy in the Islamic world (A history of philosophy without any gaps 3). Oxford University Press. A short editorial note: This book offers a very useful overview, as the title suggests, of philosophy in the Islamic world rather than Islamic philosophy as such. To that end, Part II of the book is dedicated to philosophy in Andalusia, including Jewish philosophy. 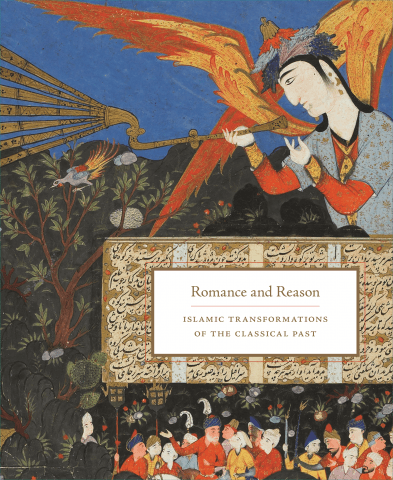 One chapter deals with the so-called translation movement while others discuss Islamic philosophy developed by “Iranian” philosophers in different eras. I can highly recommend this book as an introductory volume to philosophy in the Islamic world. The latest in the series based on the popular History of Philosophy podcast, this volume presents the first full history of philosophy in the Islamic world for a broad readership. It takes an approach unprecedented among introductions to this subject, by providing full coverage of Jewish and Christian thinkers as well as Muslims, and by taking the story of philosophy from its beginnings in the world of early Islam all the way through to the twentieth century.